"We're excited to expand the treatment options we're able to offer to our hypoplastic left heart syndrome patients and families through this collaboration, given the size and strength of our program," says David Overman, M.D., chief of cardiovascular surgery, Children's Minnesota. "This collaboration also improves important access to clinical trials and allows us to pool scientific knowledge with other top cardiovascular programs around the country." The consortium aligns regional centers in a nationwide collaboration led by the Todd and Karen Wanek Family Program for Hypoplastic Left Heart Syndrome at Mayo Clinic. 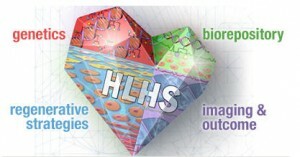 The consortium accelerates innovation on hypoplastic left heart syndrome, discovery sciences and clinical expertise by investing local resources back into research. The program seeks to work with five to seven regional centers across the U.S. to fund the development of cell-based, innovative research opportunities that can transform the lives of people living with hypoplastic left heart syndrome.